Are you having a bad day? 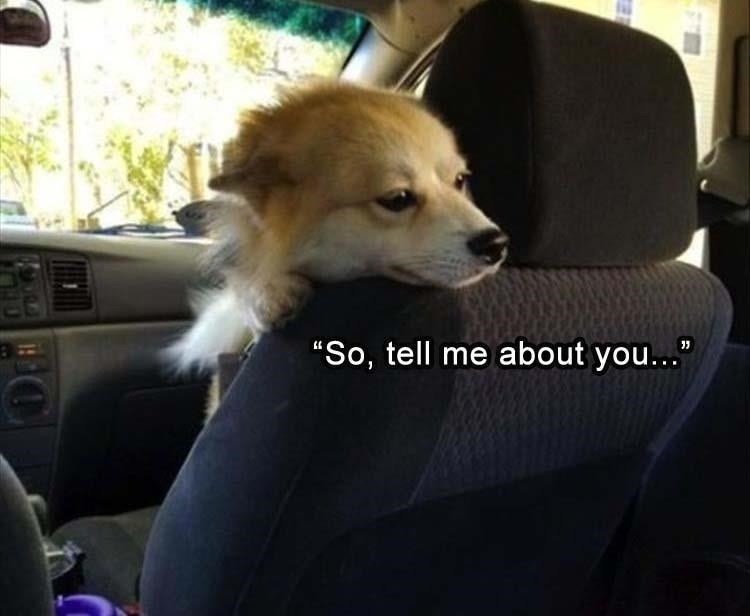 These dog memes will surely cheer you up! Memes are a wonderful addition to our lives anyway! Imagine living in a world without memes. It’s no less than a nightmare. 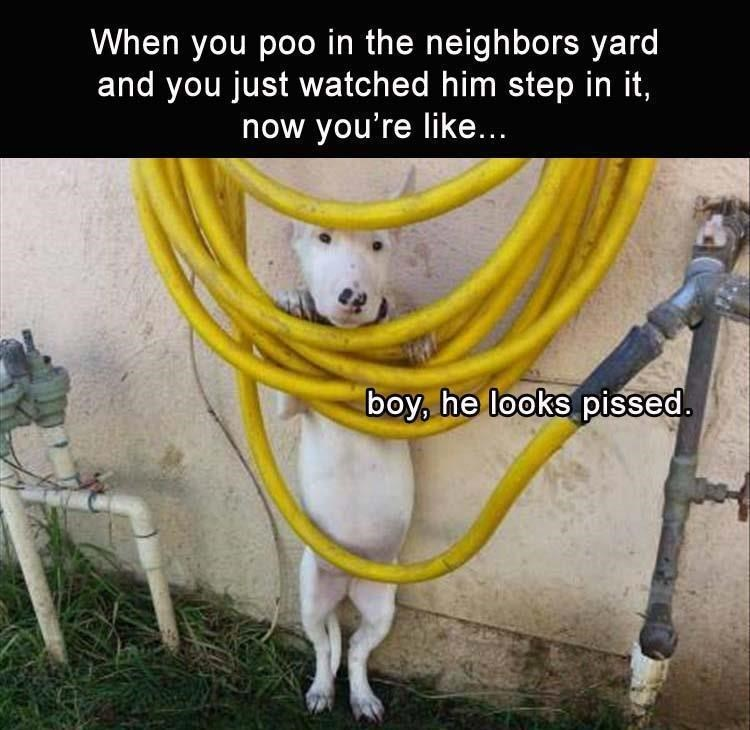 But, memes about dogs, they’re a whole new level of funny and adorable at the same time. 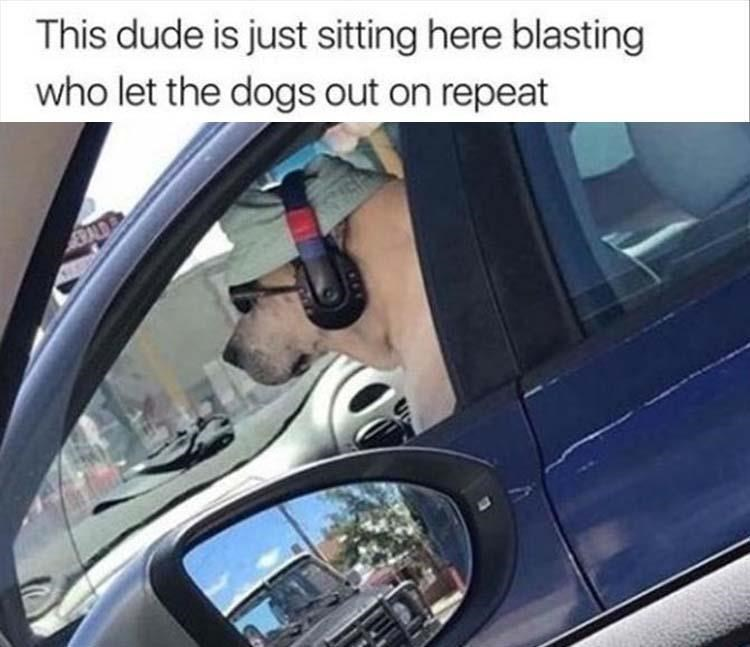 This dude is just sitting here blasting who let the dogs out on repeat. Told my fiance I didn’t get that drunk last night. 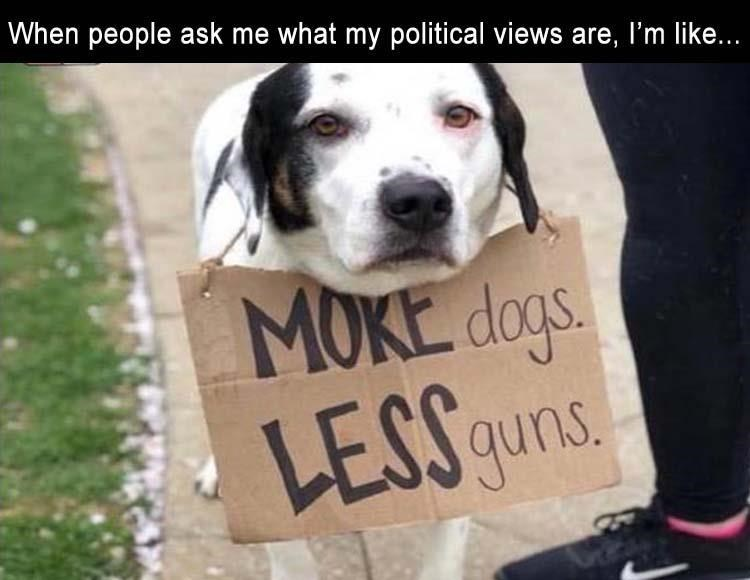 She showed me this picture this morning. 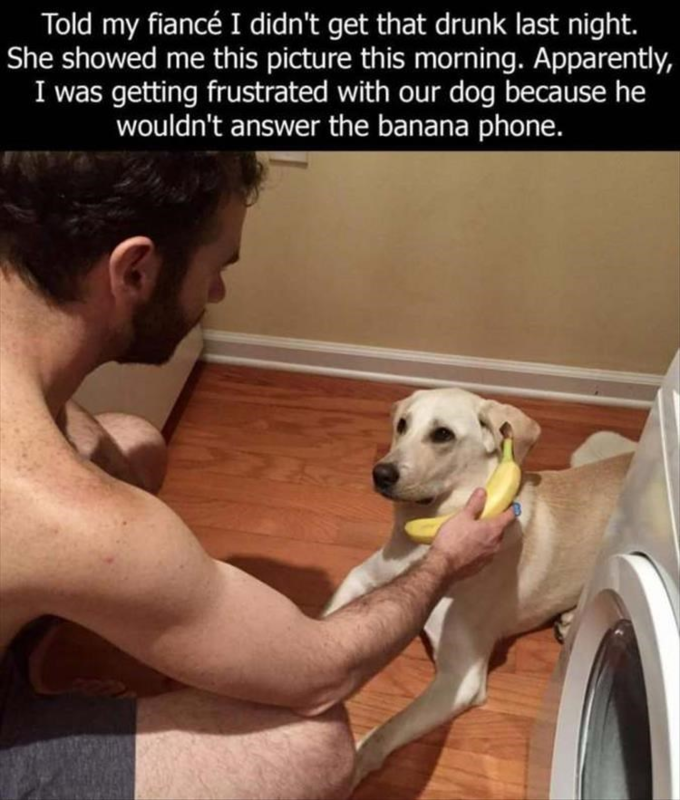 Apparently, I was getting frustrated with our dog because he wouldn’t answer the banana phone. 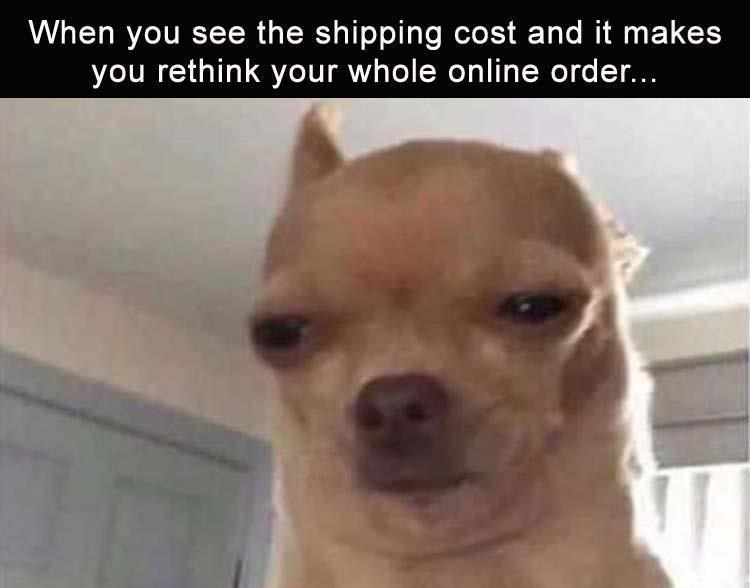 When you see the shipping cost and it makes you rethink your whole online order. 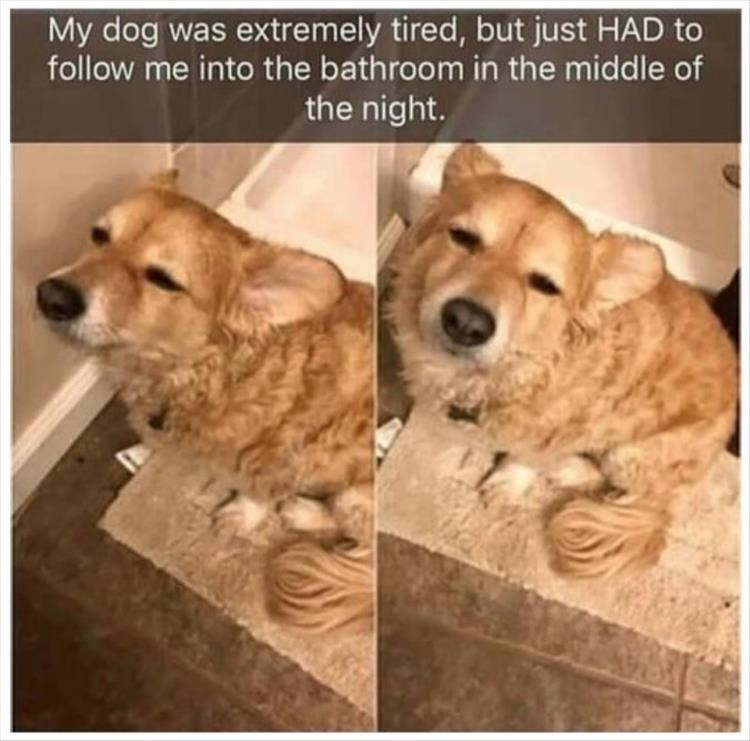 My dog was extremely tired, but just HAD to follow me into the bathroom in the middle of the night. 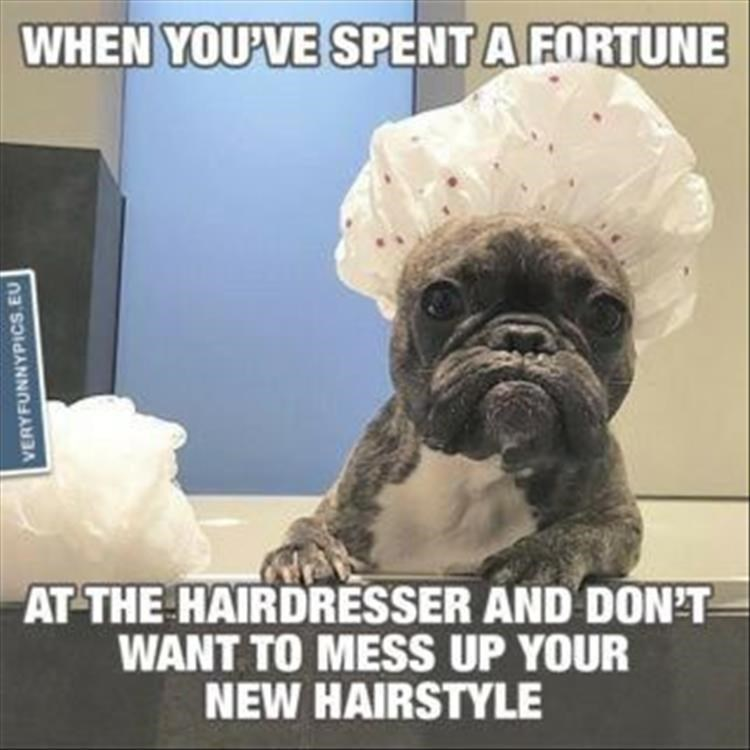 When you’ve spent a fortune at the hairdresser and don’t want to mess up your new hairstyle. 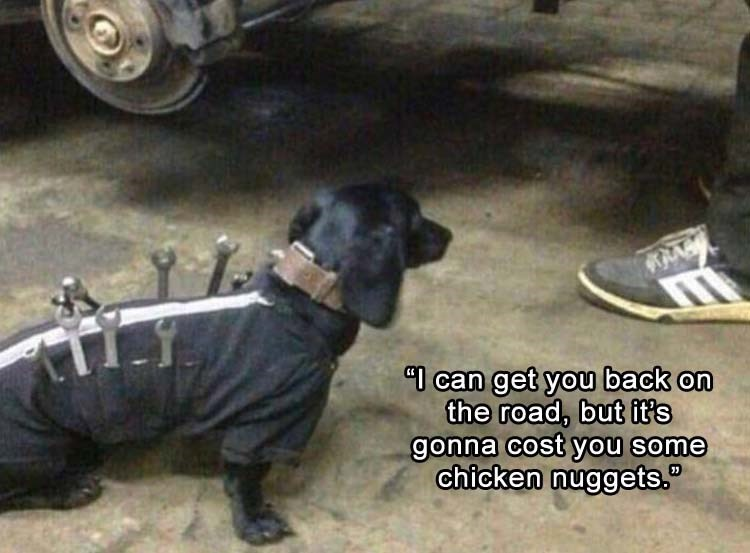 I can get you back on the road, but it’s gonna cost you some chicken nuggets. 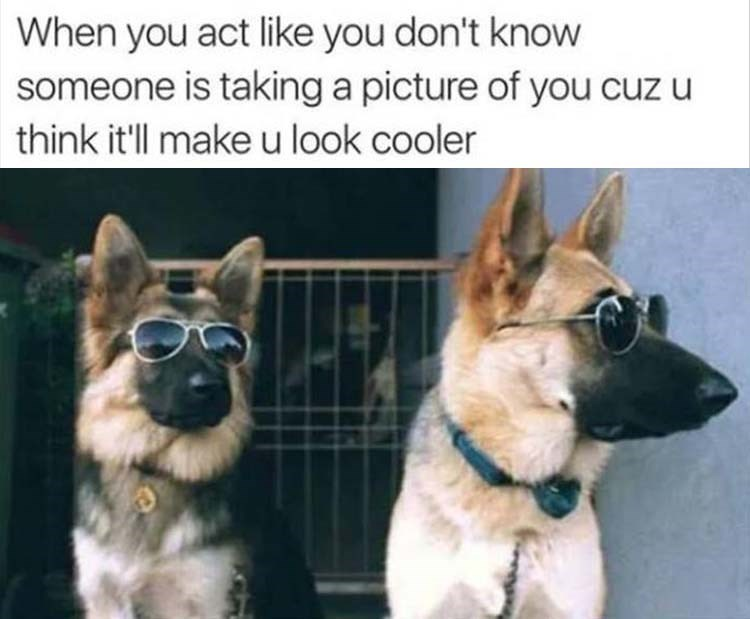 When you act like you don’t know someone is taking a picture of you ’cause you think it’ll make you look cooler. 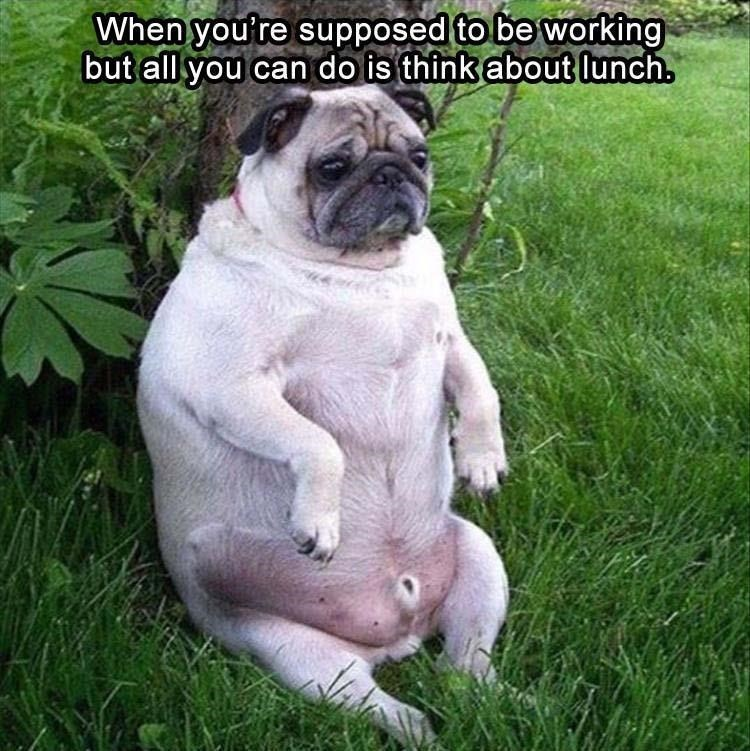 When you’re supposed to be working but all you can do is think about lunch. 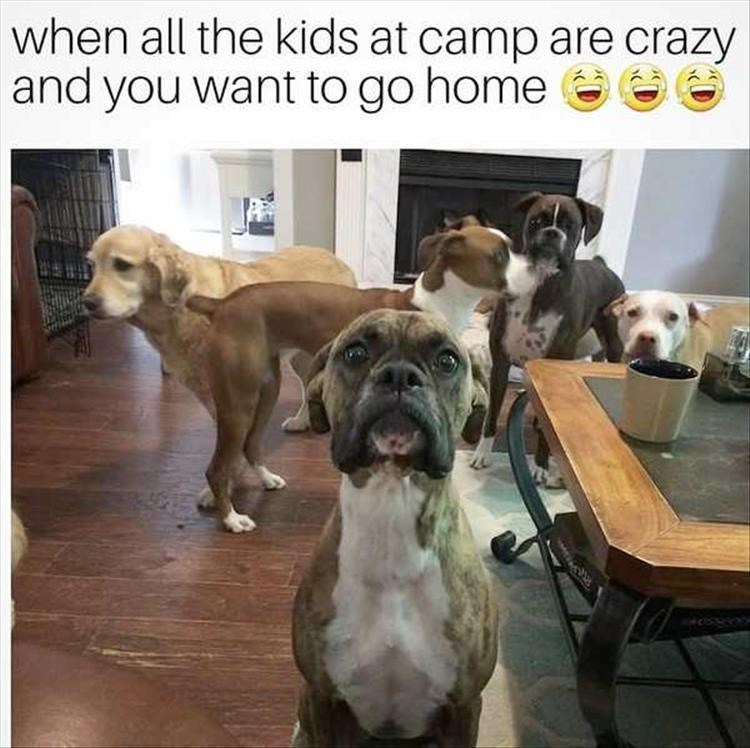 When all the kids at camp are crazy and you want to go home. 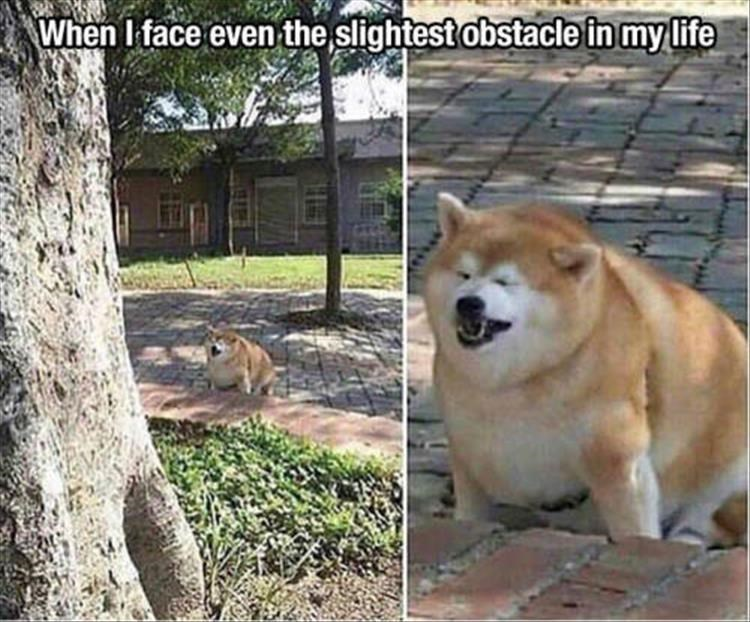 When I face even the slightest obstacle in my life. 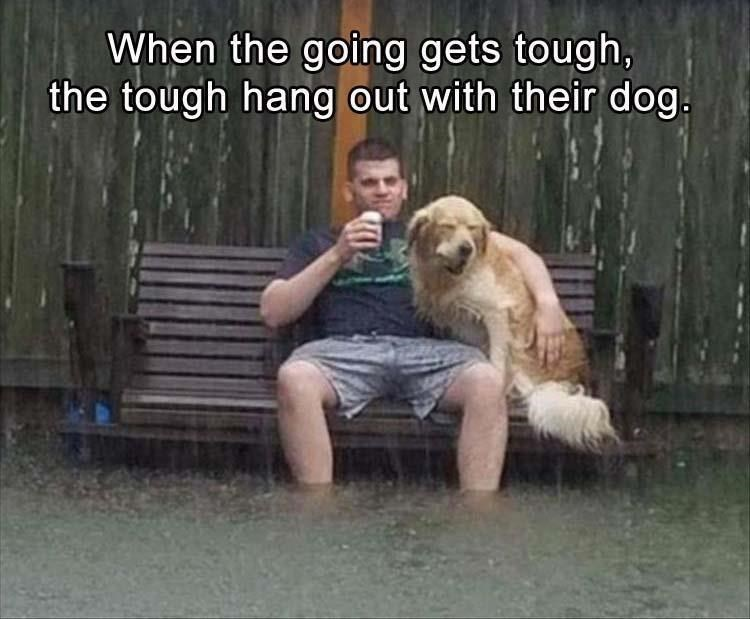 When the going gets tough, the tough hang out with their dog. 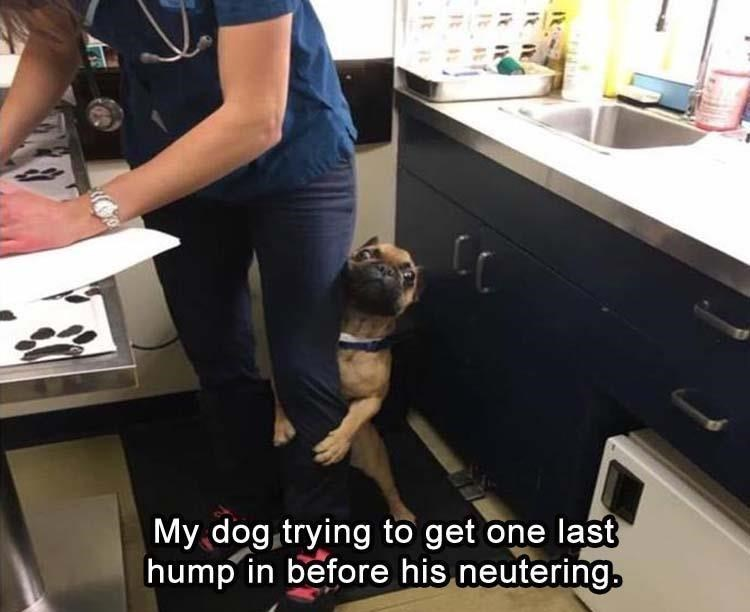 My dog trying to get one last hump before his neutering.